The New York Society for the Suppression of Vice successfully blocked the publication of James Joyce's Ulysses in 1921, citing a relatively tame masturbation scene as proof of obscenity. 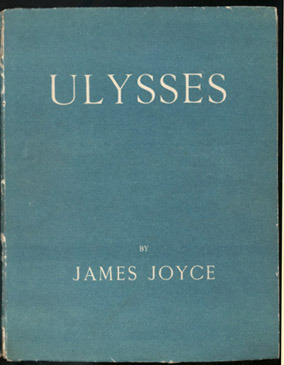 U.S. publication was finally permitted in 1933 following the U.S. District Court ruling United States v. One Book Called Ulysses, in which Judge John Woolsey found that the book was not obscene and essentially established artistic merit as an affirmative defense against obscenity charges. The banned book was a hot item on the black market, and Joyce knew he was losing a lot of money to pirate publishers. He wanted an American readership and the royalties that came with it, so his lawyers worked with the executives at Random House to bait the U.S. government into going to trial. In 1933, Random House decided to import a single version of the French edition of Ulysses, and the company had people wait at the New York docks for the book's arrival. It was a hot day and the U.S. Customs inspector didn't want to be bothered with another inspection, but the Random House people made sure that one book was seized. A second trial, "United States v. One Book Called Ulysses," was held over the fate of that single copy of Ulysses. Judge John Woolsey ruled that the book had no "dirt for dirt's sake" and was not, in fact, pornographic. His ruling changed the standards for literary obscenity.